1) Can you introduce yourself and give the reader a little of your background? My name is Tomasz Pierscionek. I was born in Melbourne, Australia and moved to the UK aged 12. Presently, I am a doctor specialising in psychiatry (Academic Clinical Fellow in Psychiatry) and work in Newcastle, UK. I have had an interest in politics, current affairs and global health since I was at high school. At present, I am editor of the online current affairs journal the London Progressive Journal (LPJ), which is not affiliated to any political party or lobby group. The LPJ aims to fill the ever increasing void created by the mainstream media by reporting on issues often ignored by mainstream news outlets and providing an alternative and more insightful analysis of global events to that provided by a tame and stale mainstream media. 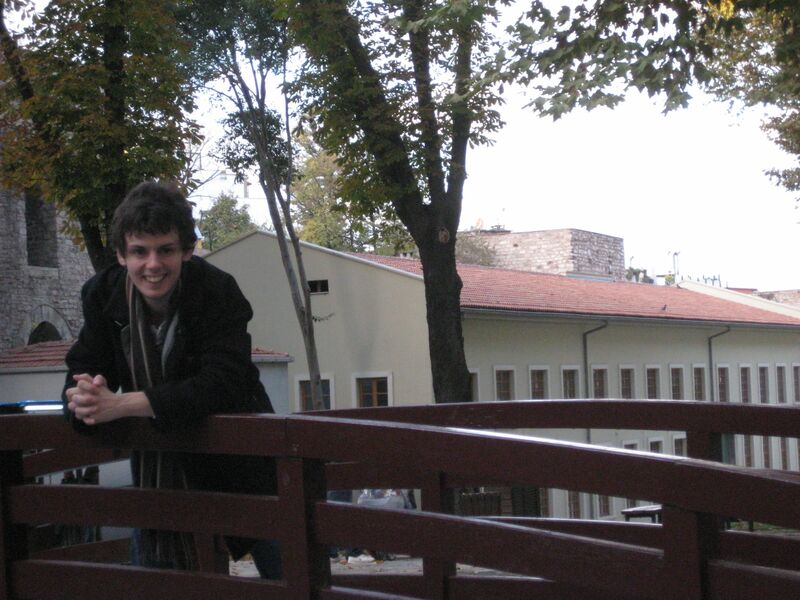 At university, I became involved with an organisation known as Medsin comprised of medical students working to tackle global and local health inequalities through education, advocacy and community action. Medsin’s motto was ‘think local, act global’. My work in Medsin further increased my awareness of the high levels of deprivation suffered by many across the globe and propelled me to do whatever I could to raise awareness of the suffering of others and work to tackle these inequalities. I later became involved with Medact, an organisation similar to Medsin but predominantly comprised of qualified doctors and other healthcare professionals. So, once I graduated from medical school, in effect I also graduated from Medsin to Medact. I eventually served on the board of the charity Medact for two years before stepping down in June 2013 (I am still involved in Medact activities as a member of the organisation). One of the initiatives I was involved in and led whilst on the board of Medact was raising awareness of the health effects of armed drones by producing a report (along with fellow Medact board members) to raise awareness of this issue. 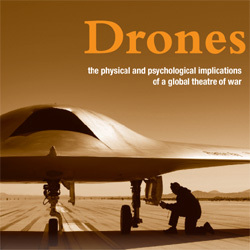 The report was called Drones: The Physical and Psychological implications of a Global Theatre of War. 2) When was the first time you became aware of drones? In mid 2011, a few colleagues from Medact and I were working on a paper whose aim was to compare civilian death rates in conflict caused by various weapons (ranging from small arms fire to aerial bombardment). One of the key points of the paper was the finding that the proportion of civilian to combatant deaths was much higher when artillery was used or when bombs were dropped from the sky compared to when small arms were used. The reason for this is that bombardment and shelling tends to occur predominantly in urban areas where there are higher concentrations of civilians. For example, a building where alleged militants are holed up may be in a densely packed urban area. Hence, if a bomb is dropped on the ‘militants’ (and even it actually hits the intended target) there are still likely to be numerous non combatant casualties. In the process of writing this paper, we started to learn about the use of a new weapon of war, namely armed drones. This inspired me start reading and researching about the use of armed drones. 3) What made you decide to become involved in campaigning against the use of armed drones and what is Medact? After realising that the use of armed drones was a major issue in itself and one which warranted further investigation, I suggest to my fellow Medact board members that we publish a report looking just at the health effects of these weapons. My colleagues agreed and together with fellow board member, Gay Lee, former director of Medact, Marion Birch, and our editor and media liaison, Alison Whyte, we published the above mentioned report in October 2012. Medact is a charity of health professionals working to remove barriers to healthcare worldwide. It conducts research and analysis, campaigns and lobbies, educates and informs. It is independent of powerful interest groups and sees health through the lens of social justice. Last month, Medact celebrated its 20th anniversary. Though small in size, compared with other NGOs, Medact’s members have valuable skills, knowledge of global health and extreme dedication allowing the organisation to often ‘punch above its weight’ by dialoguing with and influencing decision makers. Medact is also the UK affiliate to IPPNW (International Physicians for the Prevention of Nuclear War) founded in 1980, at the height of the cold war, by two physicians – one Soviet the other American – after they came to the conclusion that with the world divided into two powerful armed blocs, the biggest threat to humanity and healthcare was the possession and proliferation of nuclear weapons. They were determined to rid the world of this threat. Just five years later, in 1985, IPPNW was awarded the Nobel Peace Prize for performing a “considerable service to mankind by spreading authoritative information and by creating an awareness of the catastrophic consequences of atomic warfare”. More than thirty years on, there are IPPNW affiliated groups in most countries and the organisation can boast tens of thousands of doctors and medical students as members. Nowadays, national IPPNW affiliates have branched out to tackle many other threats to global health beyond nuclear proliferation, such as refugee health, environmental destruction and armed conflict. 4) You have recently produced an updated version of the Medact report Drones: The Physical and Psychological implications of a Global Theatre of War 2013… What did Medact hope to achieve by writing this report? The original version of the report, published in October 2012, aimed to raise public awareness of the use and proliferation of armed drones. Back in 2012, it was surprising how little the public knew about drones. Since the first missile was launched from an American drone in late 2001 in Afghanistan to kill an alleged al-Qaeda leader, this mode of warfare has become increasingly more prevalent to the extent where nowadays a suspected 76 or more countries possess some form of drone. However, at present most countries only possess small unarmed drones used for surveillance purposes. So far, only the US, UK and Israel possess and use the larger armed drones in combat. 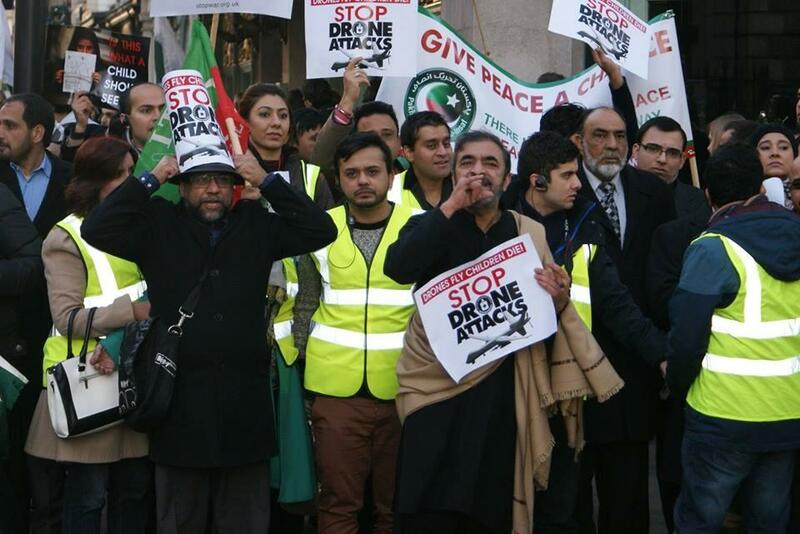 We also aimed to lobby the UK government to promote greater parliamentary debate on the use of armed drones and to release further information about the aftermath of drone strikes in Afghanistan. Out report recommended that the UK government actively engages with civil society groups who are playing a vital role in raising the concerns described in our report and who are lobbying for greater openness and an end to proliferation. 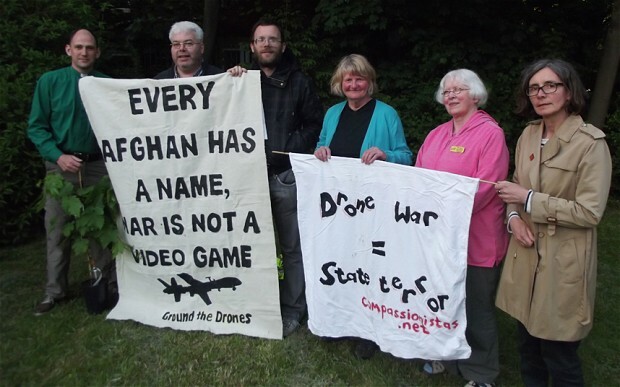 We also recommended that the UK government work with the UN and other international bodies to include drones in arms limitation treaties, or to make them the subject of specific legislation to limit and eventually stop their development, use and proliferation. We concluded by stating that we believed it to be in the public interest, and in the interest of our armed forces, that there be more transparency, parliamentary scrutiny and public debate on how drone strikes are planned, how targets are chosen and who is targeted. We further recommended that the UK government and the MOD provide information on dates and places of previous drone strikes and reasons for launching strikes, whether a drone strike was pre-planned to eliminate a certain target or whether it had been carried out in order to eliminate individuals found to be engaging in ‘suspicious behaviour’, how casualty figures were arrived at and how the distinction between civilians and combatants was made. We also asked whether the UK government has independent command and control over Reaper drones or whether these drones are wholly or partly under the command and control of NATO and whether a drone strike was ever carried out against an individual who is not directly participating in hostilities. 5) How has your report been received? The first version of the report received good publicity. Both the Guardian and the British Medical Journal reported on the launch of the report. I was interviewed for a podcast by the Lancet medical journal on the findings of the report. The report itself was officially launched at a reception in Portcullis House, House of Commons, chaired by Labour MP John McDonnell. I also subsequently took part in a debate/talk at the Royal Society of Medicine titled Health, conflict and armed unmanned aerial vehicles: The way forward or a step too far? where I spoke alongside both opponents and proponents of drone warfare. I have given other talks on the development and ethics of drone warfare since then, including a lively talk to 6th form students in Lancaster who were studying humanities related subjects. We felt that an updated version of the report was required on account of the many global developments in drone proliferation over the course of 2012-2013. The updated version of the report was released to coincide with a conference celebrating Medact’s 20th anniversary and its achievements. 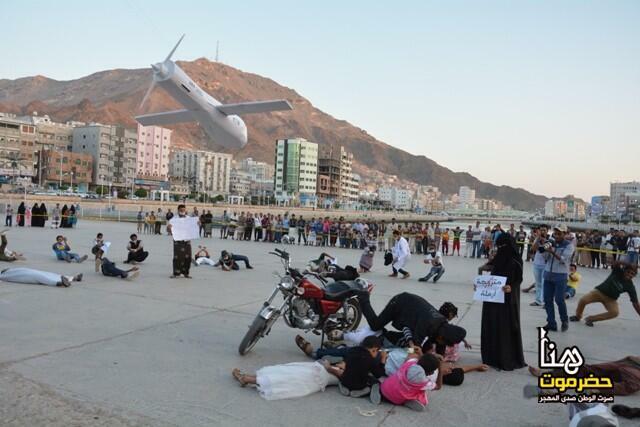 6) Last month a US drone hit a wedding party in Yemen what are your thoughts on this? Sadly such incidents have become all too common. Wedding parties and tribal gatherings have been mistaken for terrorists meeting and have been attacked. For example, on the 17th March 2011, a US operated drone attacked a jirga (tribal meeting) in North Waziristan killing over 40 people. The meeting was reportedly a gathering of local tribesmen that had been called to sort out a local land dispute – a far cry from any militant activity. However, there are also occasions where missiles fired from drones kill what are referred to as ‘military aged males’. These are essentially young men who are, for whatever reason, suspected of being militants and killed. On account of drone attacks almost always taking place in remote areas, such as Waziristan on the Pakistan-Afghan border, it is often difficult to gain independent information on whom the victims really were. It is also near impossible to learn of when instances of faulty intelligence have led to the ‘wrong people’ being killed. What is certain is that drone attacks, whether they be in Pakistan or elsewhere, foster resentment amongst relatives of the dead and have led, on occasions, to the Taliban attacking Pakistani soldiers in retaliation. Many people in Pakistan are angry with the United States for bombing their country. They are equally angry with the Pakistani government for giving the US tacit permission to do so. Remember, the US is not at war with Pakistan yet is flying drones over the country and killing those living within Pakistan’s borders. The US sees it as acceptable to pursue and kill their enemies in countries with which it is not at war. Other nations are undoubtedly watching this state of affairs play out. Imagine the uproar that would result if say, Cuba were to use armed drones to target Cuban exile terrorist groups residing in Miami, or if Russia were to launch a drone attack on an alleged Chechen militant living in Seattle. Perhaps one day global terrorism will be more widely used as an excuse for other nations to violate sovereign territory to pursue their own enemies. 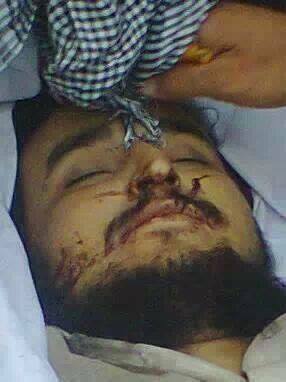 7) What contact do you have with medical organizations and hospitals in drone hit areas dealing with drone victims? I have no personal contact with medical organisations working in drone hit areas. 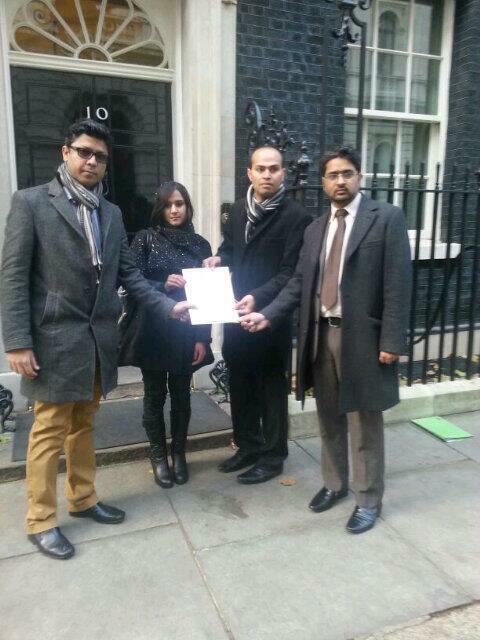 I have met with Shahzad Akbar, a trained barrister who is working as a fellow of the charity Reprieve in Pakistan. 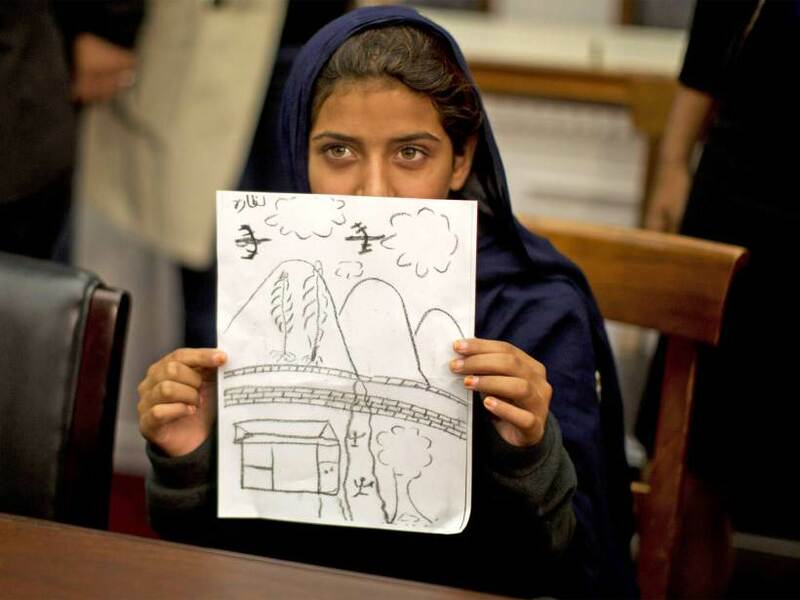 Shahzad represents families of drone victims in the North Waziristan areas of Pakistan. When I met with him in London over a year ago, he informed me that Waziristan is an area that is often sealed off by the Pakistani army from the rest of Pakistan, making it very difficult even for healthcare workers from other parts of Pakistan to access to that region. Other counties affected by drone warfare, such as Somalia, Afghanistan, Libya, Yemen and Palestine (Gaza) are also hard to reach areas that lack adequate medical facilities and healthcare workers. 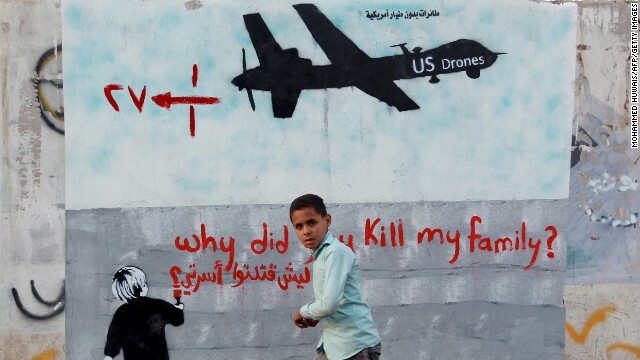 8) There is often a major disconnect between international organizations such as the UN and those working with the direct impact of drone strikes on the ground, what can be done to improve this situation? I think that for starters, more information needs to be gleaned on casualty rates from drone attacks though I appreciate the immense difficulties in doing so. Once relief agencies know exactly how many civilians are being killed and injured in drone strikes, a fuller picture of the problem will be known giving them a better idea of how much aid is required. 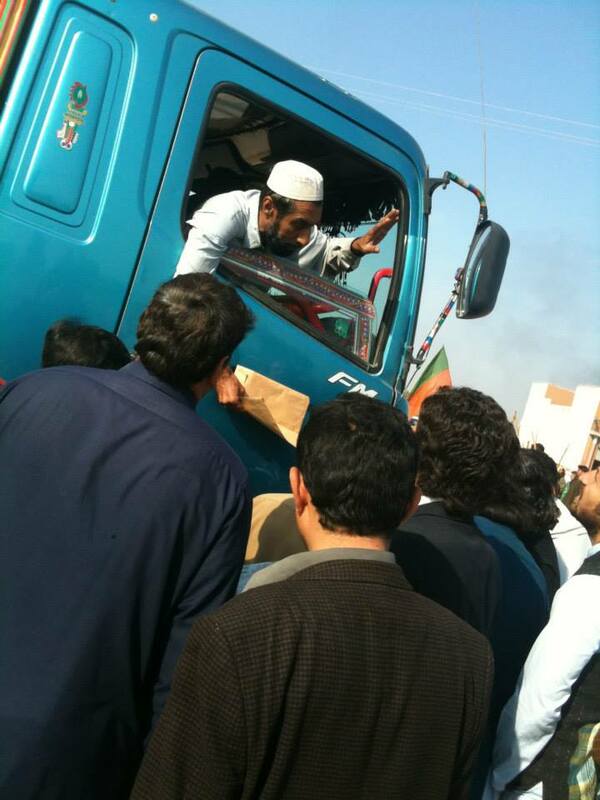 Getting aid to people in these hard to reach areas will also be a difficulty. I would suggest that lack of trust is also major issue. I suspect that those living in areas affected by drone bombings are likely to distrust ‘Western organisations’ which they may see as being associated with the nations operating drones. So perhaps, local aid agencies on the ground, who the local population are more likely to trust, should be given the support required to spearhead humanitarian efforts. However, I doubt that we will see, for a long time at least, as much money set aside for treating victims of drone attacks as is spent on producing and operating these weapons in the first place. 9) I recently interviewed a key member of the Pakistan Taliban who told me that the polio vaccination progamme won’t go ahead until drones stop… What are medical organizations doing to highlight this issue and support polio workers in Pakistan? I’m not sure exactly what medical organisations are doing to highlight this issue. 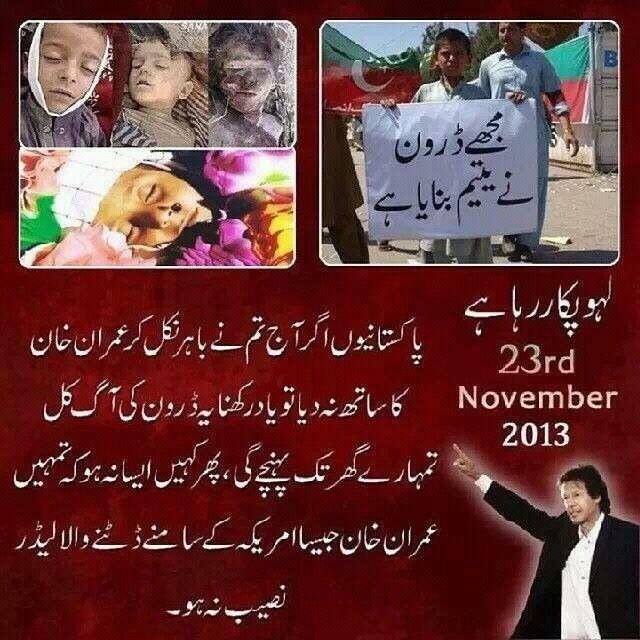 The Taliban are of course cynically using the deaths of Pakistani children for their own propaganda purposes. However, it appears that there is little hope that children in one of the most deprived regions of the planet will be vaccinated against a disease that has been eradicated in most countries. It is also clear that bombing people will breed distrust and will lead to a lose-lose situation for all. 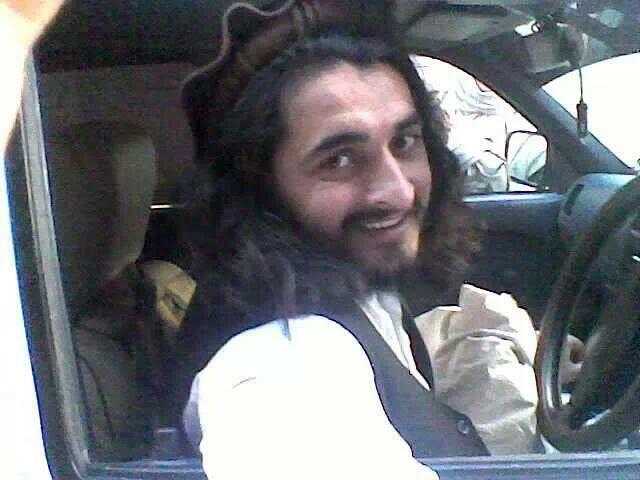 At the end of last year, a glimmer of hope for peace was extinguished when the head of the Taliban in Pakistan, Hakimullah Mehsud, was killed by a US drone attack as peace talks between the militant group and the Pakistani government were begin planned. His death has obviously scuttled the chance of dialogue and will doubtlessly lead to another cycle of violence both within Pakistan and likely beyond too. 10) One issue raised by doctors in Peshawar is the possibility of locals being affected by fall-out material from drones which may be carcinogenic. How can Medact take this concern forward? I must admit, this is news to me but I find the claims plausible. There must be some toxic byproducts from exploded Hellfire missiles and laser guided bombs. However worrying the claims may sound, I have to say that sadly I think the people of Waziristan presently have bigger things to worry about. If the US administration is unconcerned at the possibility that, according to the Bureau of Investigative Journalism, approximately between 2500-3600 civilians have died in Pakistan since drone bombing commenced in 2004 (160-200 of these are thought to have been children), they will hardly be concerned about a rise in cancer rates which may result a long time after the drone attacks. It seems that victims only become of concern if the matter is considered politically important. Ie: If we need a reason to attack a particular country then suddenly a lot of attention is focused on the appalling human rights record of the leader. For example, the official line was that Saddam Hussein had to go was he was such an evil man that he even used chemical weapons again the Kurds in Northern Iraq in the late 1980 during the Iran-Iraq war. That is certainly true but, as Noam Chomsky pointed out, what is selectively omitted is that he did so with the permission and support of then US President, George Bush Senior. Margaret Thatcher too, in the 80s, was a friend and supporter of Saddam despite his human rights record being as appalling then as it was in the 90s when the West decided it was in their interests to get rid of him. 11) One of Medact’s recommendations is that the UK government “should publicly recognise the civilian causalities of its armed drone programme, and offer appropriate compensation, including medical, psychological and financial assistance”. What progress has been made on this? Sadly very little, as far as I am aware. We don’t yet even have accurate information on the numbers of dead and injured from UK drone strikes in Afghanistan, (UK has only used drones in Afghanistan since 2008). One of the first challenges is to tackle secrecy and fight to obtain this information and also information on how ‘targets’ of drone strikes are selected. We know that there have been hundreds of UK drone strikes in Afghanistan since 2008 and last year, the UK doubled its fleet of Reaper drones from 5 to 10 and opened a command centre at RAF Waddington, Lincolnshire. Prior to that, UK drone operators were based at Creech Air Force Base in the Nevada Desert near Las Vegas. Perhaps courageous individuals, following in the footsteps of Chelsea Manning and Edward Snowden, will come forward to provide the public with the information that governments will not. Certainly, it would be morally right for those countries responsible to compensate victims of drone strikes and their families. On a wider scale, I believe reparations need to be paid to the people of Afghanistan, Iraq and Libya who were subjected to invasions and bombardment. In the case of Iraq, undoubtedly, the nations responsible committed, according to the Nuremberg Laws, the supreme crime of aggression. Under these laws, as has been said a number of times, Tony Blair, George Bush and the others responsible should face trial in the International Criminal Court. Blair should suffer the most serious punishment: through his collaboration with the forces of imperialism in the invasion of Iraq, he betrayed both the British and the international working classes and the party that he led. 12) Where do you go next in your fight to highlight the impact of armed drones? Depending on developments, there may be scope to publish a further updated version of the report in a year or so. In the meantime, time permitting, I shall continue to work with other individuals and organisations who are raising awareness of the proliferation of armed drone and the ethical moral and legal aspects associated with their use. I will do what I can to work for justice and stand alongside those suffering and fighting against oppression in all its guises. Unfortunately, sometimes the demands of my day job must take precedence.